Since I sub-named this site as ‘Japanese Food and Everything Else’, I could not think of starting a post with non-Japanese food on this blog. But there was a problem. We have a huge variety of fruits at home at the moment. 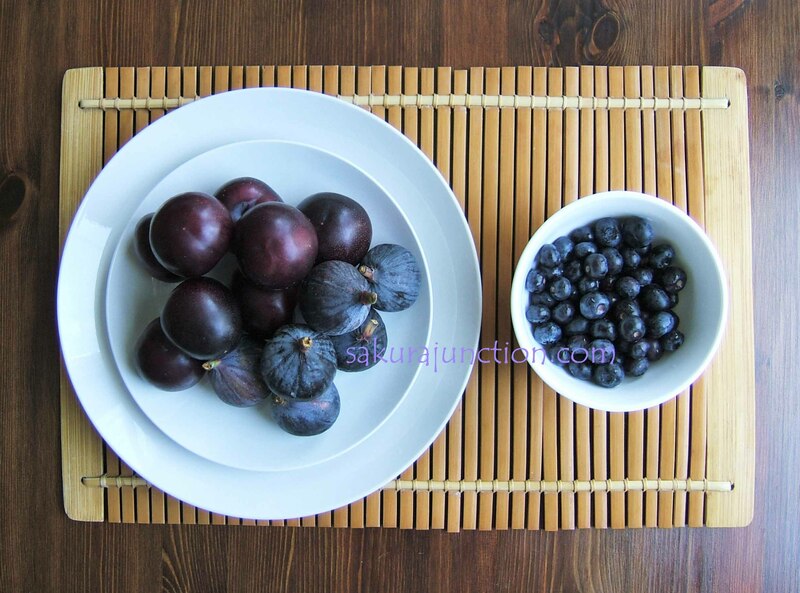 They are plums, kiwi fruits, grapefruit, banana, blueberries, apples and figs. I have to use them. I wanted to make something I can post on this blog by using them. However, these fruits are more suitable for western sweets rather than for Japanese. So I had to think what I can do to make something Japanese with western fruits. And then my eyes focused on one of the fruits. However, they look too western! 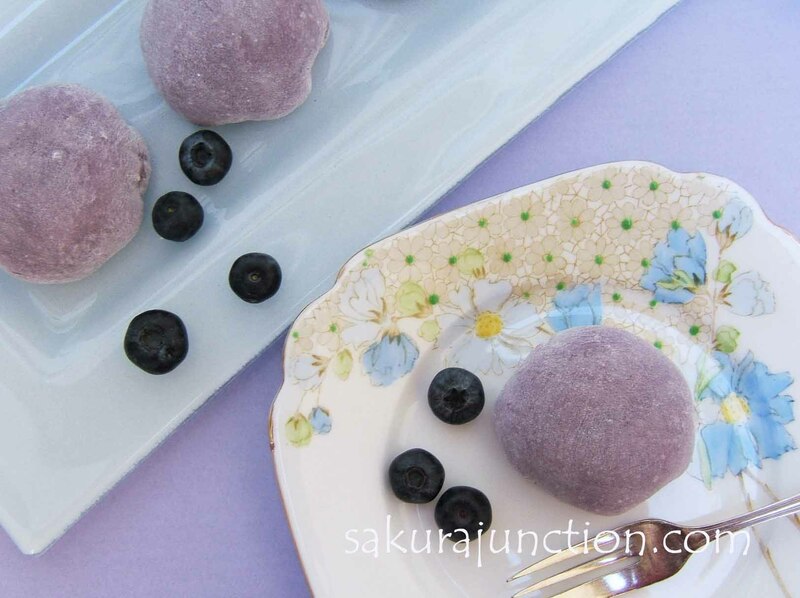 So I gave a challenge to myself on turning Blueberries into Japanese Sweets. Here is the outcome of my challenge ‘Japanese Sweets with a western twist’. ‘Daifuku’ is one type of Japanese sweets that An (Sweet Bean Paste) is wrapped up with Mochi (Rice Cake). 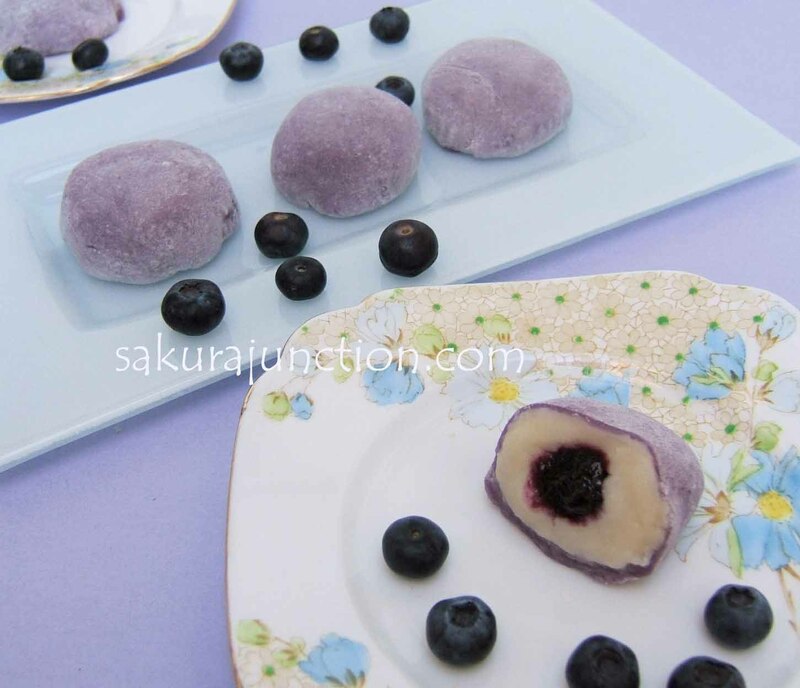 Usually the An used for Daifuku is either Tsubu-An (Azuki Bean Paste) or Shiro-An (White Bean Paste) and both go well with most of fruits. So the flavour of Blueberry should also go well with this idea. But it has such a western face, then I had to give a little bit of twist in Daifuku for making it slightly more western. The solution was ‘Cream Cheese’. I am going to use ‘Cream Cheese-An’ for this sweets. Basically the idea is making a Japanese version of Blueberry Cheese Cake. It was the first time for me to make ‘Cream Cheese-An’. 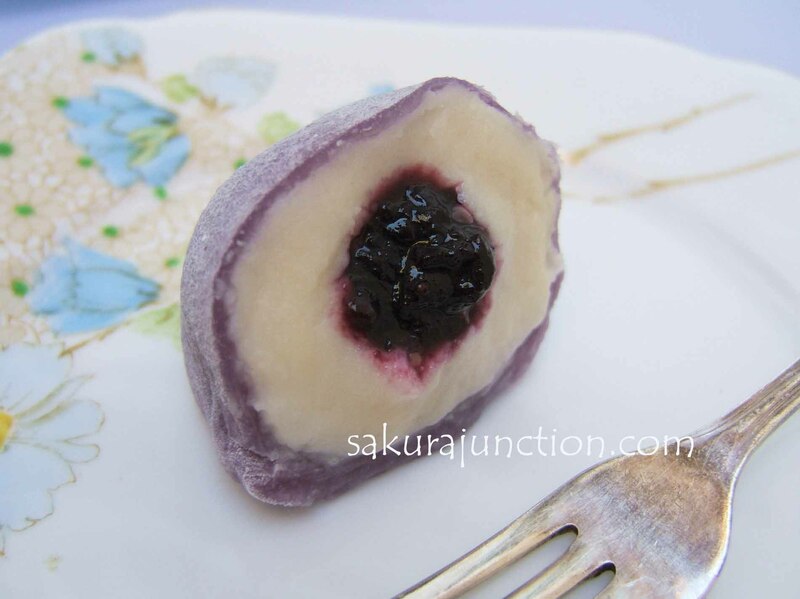 I have not had it anywhere else yet but the taste of the ‘Blueberry Cheese Daifuku’ was just what I wanted. Soft smooth Cream Cheese-An matched very well with Blueberry Jam. A hint of White Bean Paste’s mild taste combined all the flavours into one. Obviously it is not Dairy Free but it is still Free from Gluten, Fat/Oil and Egg. It was a good attempt. Success! ← Welcome to Sakura Junction!